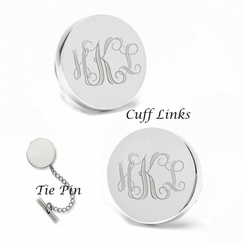 Engraved tie pin & cufflink set with your monogram. 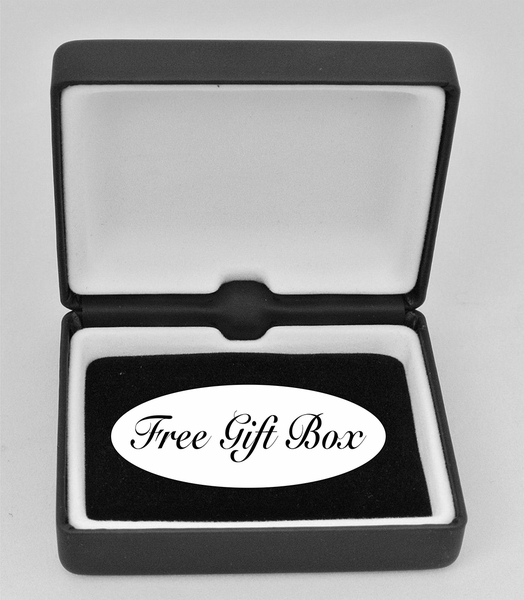 This personalized silver tie pin & cufflinks is a great minimalist accent to any fine tie. For those that prefer the pin over the traditional tie clip, these make a great gift. A perfect gift for the man in your life. 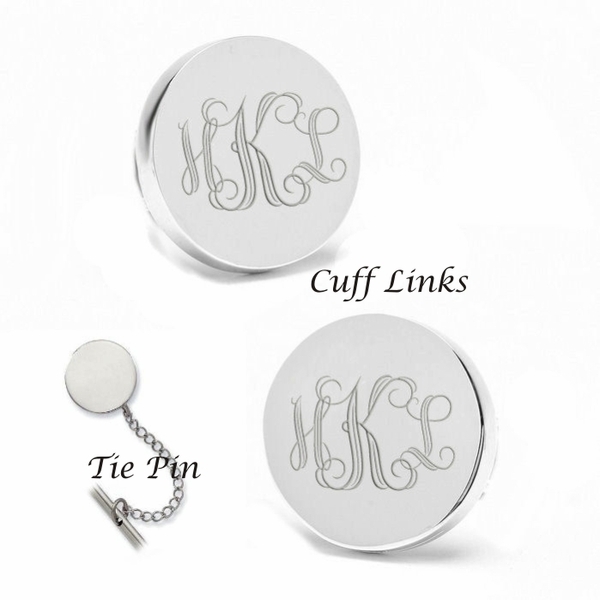 Monogramming Your Cuff links, please type in the initials in the exact order you want them to be engraved!